We pick up, store, and deliver your stuff––all for less than what Dupont Circle self-storage companies charge. You’re so happy with your Dupont Circle apartment. But you'd be even happier if it had a few more feet of space for all your stuff. You could rent a self-storage unit for your off-season clothes, spare chairs, and random old yearbooks. But all those boxes and all that gas money adds up. And you don’t even want to think about how much time it’ll all take. At MakeSpace, we make Dupont Circle storage as easy as pressing a button. Seriously. Simply schedule a pickup, pack your stuff, and leave the rest to us. We’ll pick up your stuff, store it in our secure and temperature-controlled storage facility, and create an online photo catalog of it so you always know what you have in storage. Need something back from storage? No sweat. Simply click the item's photo and we'll bring it straight to your door. The result: More space in your home. And more free time to go enjoy the farmer’s market, the High Heel Race, or any other awesome activity that Dupont Circle has to offer. Schedule a pickup, pack your stuff, and then relax. We'll take care of the rest. "I had never used a storage company prior to MakeSpace, nor will I ever use anyone else -- they're just that great. 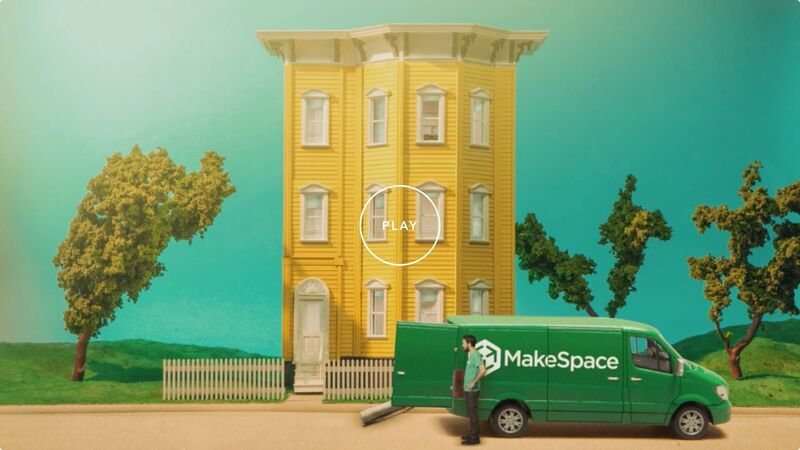 I've found MakeSpace especially helpful the handful of times I've moved in the city. I would much rather send all of my things to MakeSpace and have them redelivered, than deal with renting a car and packing and carrying everything by myself."